Despite the prospect of a year of disruption, Tunbridge Wells businesses and residents will be breathing a sigh of relief after it was announced work on the £5 million Longfield Road improvements at North Farm will begin next month. 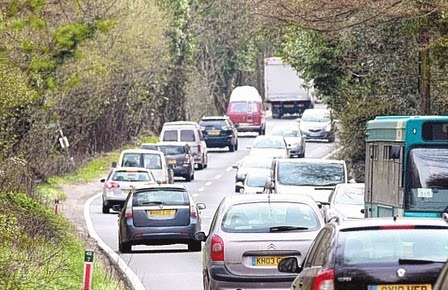 Although not the solution to all of Tunbridge Wells’ road problems, the scheme will significantly help the town challenge its reputation for gridlock and congestion. The improvement scheme, involving the dualling of 1km of the road between the A21 and the Dowding Way roundabout, is expected to be complete in less than a year. The construction, undertaken by Lafarge Tarmac, will also see traffic signals replaced with roundabouts and a shared footway and cycle path. The work was made possible after eight landowners donated strips of land to enable the scheme to go-ahead because Government funding did not cover the cost of the land. The protracted negotiations delayed the scheme after the landowners were also required to pick up the cost of their own legal fees for transferring the land to the scheme. • Sharing a boundary with North Farm is Knight’s Park, which will see more than 500 new homes developed by Dandara.